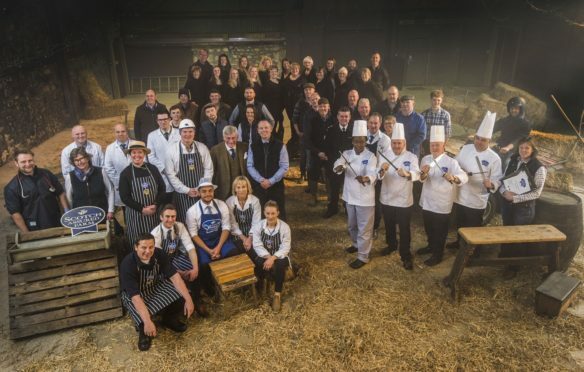 The cast of the Scotch Beef Know Your Beef TV advert. “Although the new advert is already being shown on TV, we are so excited to take it to the big screen and show it to wide audiences across the country,” said QMS marketing manager, Kirsty Fox. “The narrative we chose really makes the story feel like a performance so it’s fitting to take it to cinema audiences. The 40-second musically-themed adverts features butchers, farmers, chefs, auctioneers and vets. It also features singers from the Scottish Association of Young Farmers’ Clubs, the Scottish Women’s Institute and the Royal Highland Education Trust. QMS said the campaign, which also includes billboard, print, social media and digital activity, is expected to reach up to four million adults over March and April this year. Its main focus it to tell consumers what sets Scotch Beef apart from the rest, while showcasing the industry’s environmental and welfare credentials.